Nigeria’s re-scheduled General Elections held on Feb. 23, with President Muhammadu Buhari of the All Progressives Congress and former Vice President Atiku Abubakar seen as the two frontrunners. 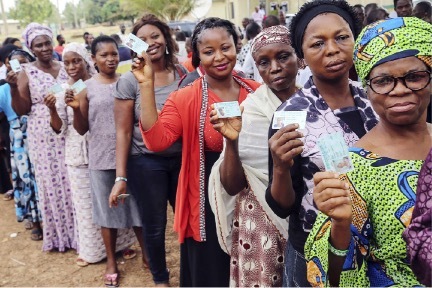 Voting was in many parts of the country by between two and 10 hours, with the People’s Democratic Party alleging there was a deliberate plan by the government to suppress votes in opposition strongholds. Election observers noted that while 47 percent of polling units were voting by 10 a.m. on election day in Buhari’s northern base, only 21 percent were functional in the southern strongholds of the main opposition rival. Turnout is projected to be below the 44 percent recorded in 2015, making it the election with the lowest voter turnout since the end of military rule 20 years ago. A winner is expected to be known within the week. lslamist militants in the southern African country of Mozambique launched two attacks near a site where Anadarko Petroleum is building a $50 billion gas plant, killing one person and injuring six others. The attacks happened on the road leading from the coastal town of Mocimboa da Praia to Afungi, Anadarko’s project site. Following the attack, the site was put into lockdown, the company said on its website. The militants started an insurgency in Mozambique’s Cabo Delgado region in late 2017. The latest attack is probably a sign of changing tactics, seeking targets that are likely to highlight their cause while hurting the government. Sudan’s President Omar el-Bashir, now in power for three decades, declared a one-year emergency rule to contain escalating street protests for his departure. In a national address to invoke the emergency rule, el-Bashir also called for a national dialogue to resolve the country’s problems. He dissolved both the federal and the regional governments and asked lawmakers to delay a constitutional amendment to allow him seek another term of office. El-Bashir, now 75, seized power in 1989 by toppling the elected government of Prime Minister Sadiq al-Mahdi, in a coup backed by pro-Islamist elements in the army. Protests against difficult living conditions under his regime first erupted in December. Kenya said it will never give up even “an inch of territory’’ in its border dispute with its neighbour, Somalia, over an area suspected to be rich in hydrocarbons. Kenya has accused Somalia of selling oil blocks in coastal waters near their common frontiers to investors and recalled its ambassador to Somalia last week. The row is threatening close relations both countries have forged in the fight against al-Shabab Islamist militants based in Somalia. The group has repeatedly targeted Kenya in a series of attacks including on in January on a hotel and office complex in the capital, Nairobi, that left at least 21 people dead.